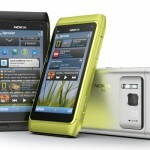 Nokia just revealed one of the most promising phone from every aspect, the Nokia N8 mobile phone. One of the best features of which is going to be the 12-megapixel camera with Carl-Zeiss lens and Xenon flash. 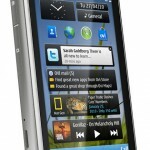 The phone is coming with the new Symbian^3 platform. 16 GB built-in storage, and that is expandable upto 48 GB. Complete Ovi support, and this phone is going to be challenging every other phone of a 8+ megapixel camera, and certainly Nokia has produced good quality camera phones although not crossing the 5-megapixel level, in Nokia N95, Nokia N85 etc. The quality of pictures taken are impressive, and can speak a lot about the camera! 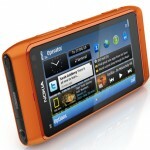 The phone is going to be launched in the 3rd quarter of 2010, and going to be priced at €370. Check the official post. 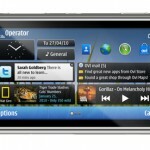 Are there any significant changes in the new Symbian^3 platform? As most of the Symbian successive versions have no much changes always. The 12MP camera is surely one of the reasons why one would plan to buy this device, but isn’t getting a low-end Symbian phone and a digital camera separately better option than going for the N8?